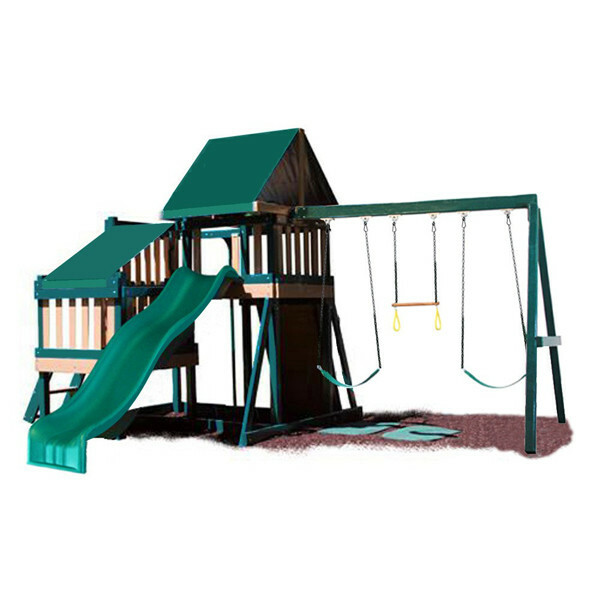 Your kids will have tons of fun and enhanced play when they have the Congo Monkey Playsystem II in their backyard. With a two-level play fort and large sundeck they can climb and imagine high above the ground. And when they're ready to come down the fireman's pole and wave slide provide a cool descent. The ladders and rock climbing wall are also available for adventurous climbing. And when they're ready to swing they have the choice of 2 belt swings or a trapeze bar. 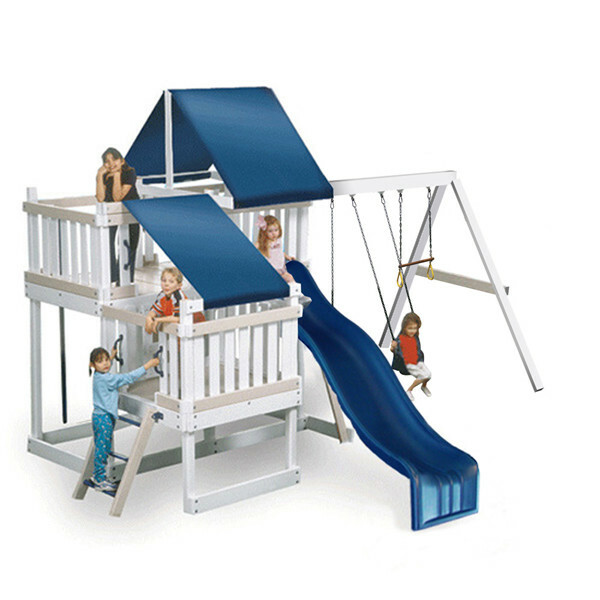 This high-quality swing set is ready to assemble and comes with all of the lumber and needed hardware for you to do it yourself. 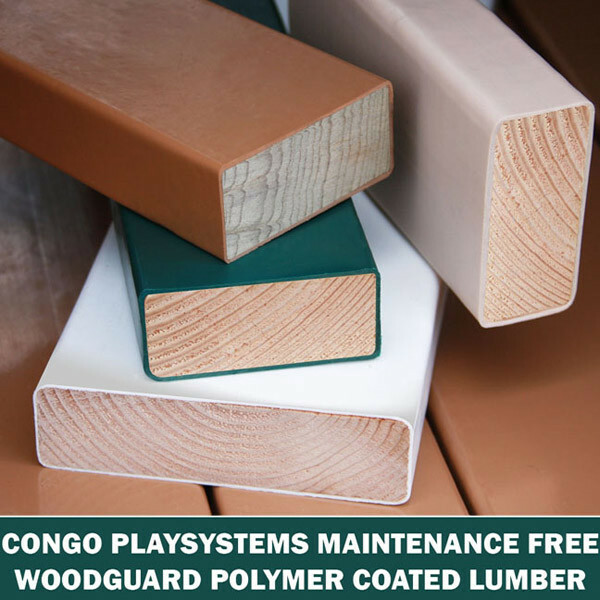 When you choose the Congo Monkey Playsystem you can build your playset and never worry about additional painting, staining, or maintenance. 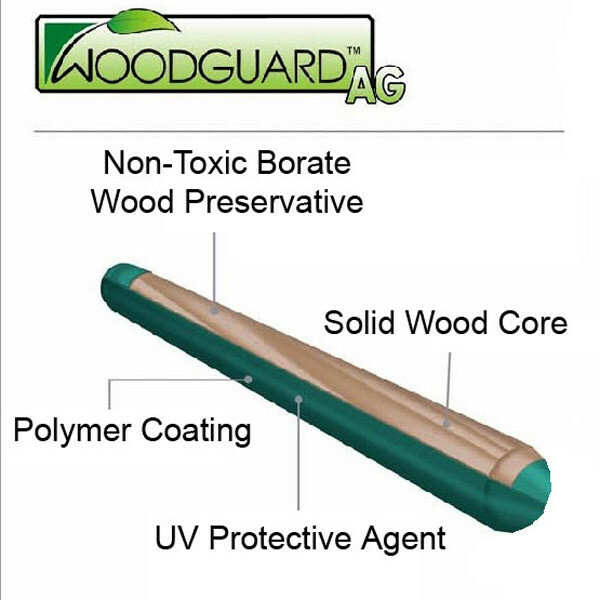 This unique construction includes polymer coated lumber that will not splinter, crack, warp, or fade in the sun. It is sealed with borates and covered with recycled plastic polymer making it safe and eco-friendly. This set can be ordered in either white/sand or cedar/green.